HarvEast manages agricultural assets. Established on 10 March 2011, HarvEast Holding evolved from the assets previously owned by Illich Steel Plant. The shareholders of HarvEast Holding are SCM Group and Smart Holding. The key assets of HarvEast are based in Volnovakha, Volodarske and Pershotravnevy districts of Donetsk Oblast. The holding’s major areas of focus include: crop raising, dairy farming, compound feed production and seed cultivation. Of 163,000 ha of land (including 148,000 ha of tillage), HarvEast kept only 107,000 ha of land (including 97,000 ha of tillage) in the government-controlled area, with one-fifth of them not cultivated because of the proximity to the hostilities area and field fortifications built there. These areas are a part of the so-called “grey area” and have gone out of use. Some of the fields were mined. The demining operations are underway, with the land being put to use, yet this is a time-consuming process. HarvEast has lost its agricultural assets based in the non-government controlled area. In 2016, the overall yield remained at the level of 2015. The company harvested 111,000 tonnes of early crops and about 47,000 tonnes of oilseeds. 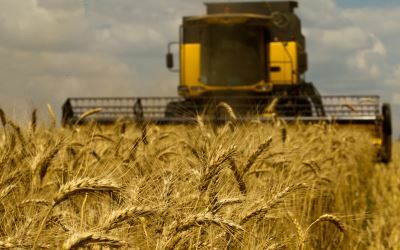 The average yield of early grains was 27.5 cwt/ha. In 2014, some employees of HarvEast management company moved from Donetsk to Mariupol and others moved to Kyiv. All staff of HarvEast employed in Donetsk Oblast is paid full salaries according to the Ukrainian laws. HarvEast settles accounts with stockholders on time and in full. The holding’s direct losses run into millions of dollars in lost profits. It is impossible to calculate the exact amount of losses now. On the website, we systematize information about damages caused to SCM Group businesses by hostilities in Donbas as well as about our efforts to rebuild SCM Group businesses and affected towns damaged by the hostilities.